Evening, all! It’s Thursday….. almost the weekend…… where has January gone? It’s flashing past me! Any hoo, I’ve been super excited for the past couple of days, since signing up for my first marathon. Thank you, everyone who has commented, encouraged and congratulated me: I hope you stick around over the coming months, I think I’m going to need your support! It’s great to see that there are quite a few of us first timers working towards the same goal: we can share ups, downs and in-betweens; and we can benefit from the wisdom of all of those who already have a marathon (or a few) in the bag. 2014 is shaping up to be quite a year! So, I was excited to get some running in tonight. I did a really easy 5K on the treadmill tonight, followed by 15 minutes on the rower. It felt great! Though I’m looking forward to getting outside to run maybe tomorrow, but definitely over the weekend! It’s the first weekend that@TheWelshWookie and I have had at home for months, so we’re looking forward to a run, and a relaxing time. How’s your week been so far? Any weekend plans? 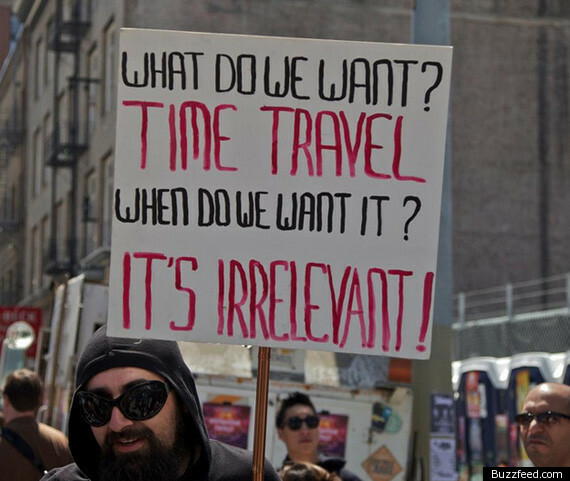 Would you love or hate time travel, and why? You’re such a beast 🙂 I love it! I was thinking about you and your marathon today and wondering what kind of training plan you’d aim for. If I can lend any support or advice, I’d be more than happy to! 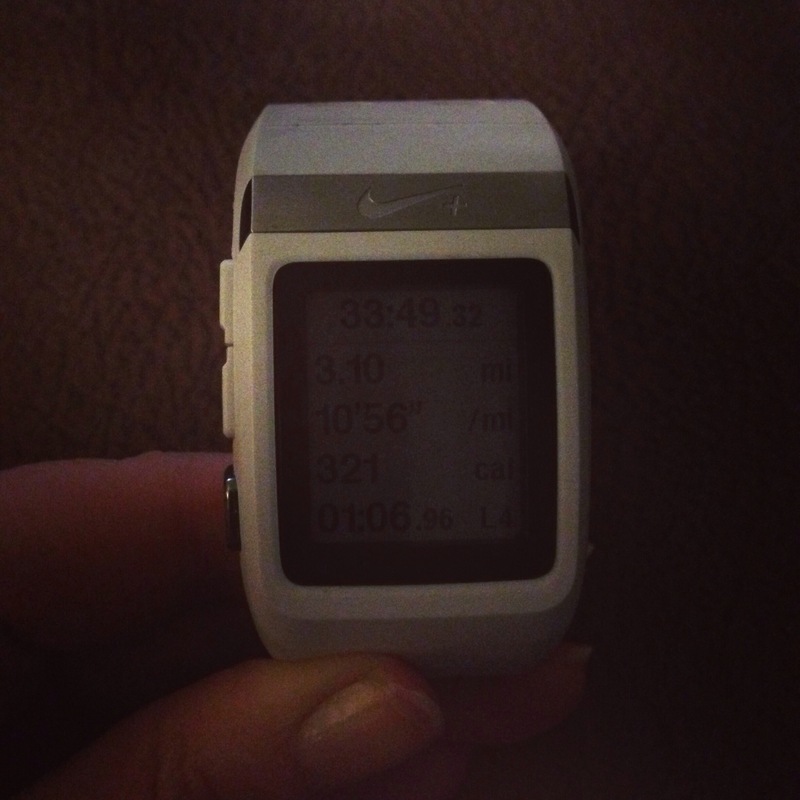 I love the idea that we’re running marathons on consecutive weekends, meanting we’ll be virtually training together. The training can seem a bit daunting at first, but it’s also sooooo rewarding – you’ll love it, I’m sure of it. Thanks! I’ll definitely be looking for lots of advice! I’ve just downloaded ‘You- only faster’ and I’m currently reading the foreword. Thanks for the recommendation. Going to use a Hal Higdon training plan for the RnR Madrid half, so I’ll see how that goes- I’ll keep you posted! Oh, best of luck! I’m using my own training plan (with the guidance of McMillan) for the Inverness Half in March, and so far it’s awesome! I love taking control of my training, it’ll make the ups and downs so much more meaningful I’m sure! As for the marathon training, it’s really important that you are clear beforhand what your goal will be – e.g. to make it to the start line (it isn’t hard to get injured if you don’t build things slowly) and to then make it across the finish line, whatever the time. I know it’s stating the obvious, but you basically have to focus on learning to run for a pretty darn long time, which is both physically and mentally taxing. Use your long runs to experiment with gear and nutrition – every long run is a rehearsal for the big day. And most, just enjoy the process! Training for my first marathon re-defined running for me; distances and workouts were set within new parameters and I learned what I was capable of (and it’s pretty wicked!). Oh, it’ll be an amazing journey! You’re getting me so excited! Thanks for these- really important things to consider and be aware of! An excellent book is marathon training for the non runner. The training plan is ‘just get round’ one not one to do if you have a time in mind, even if you don’t follow the training plan the mind training they do in it is brill. Not too expensive on Amazon. Hey, I’ve seen your LHO pic….. You sure you aren’t hiding a time machine somewhere??? I never really thought of time travel before but now that I am I think I would only go back before 1978. I wouldn’t want to travel back to one of the years that I was alive but you can’t change the past and only can learn from it. I would though like to see what happened before me. Maybe see what my Nan was like when she was younger, see what different time periods were like and how the land has changed from then until now. I wouldn’t want to jump ahead in time. I used to want that but now I just like to live each day even though some are harder than others. Finding out the good things ruins the surprise and I wouldn’t want to land in a time when it could be bad. I’d love to sneak a peek at my ancestors, see where I came from and what their lives were like. But the biggest challenge for me would be coping without technology- not being able to check my phone: no mobile signal, no wifi- how would I cope! Mind you, go back 30 years and there’s none of that either I suppose. It would feel kinda weird, but maybe in a good way…. I invented a time machine next year. I’m def going to follow your blog VERY closely over the coming year…..
I’m seriously considering dressing as Nessie for the River Ness 10k! Great idea, I love it! Sounds just like mine- have a great one!